Abstract—Utilization use of e-learning is being increasingly carried out by a number of communities, particularly in the context of education. However, different behavior and in implementing e-learning infrastructure to be implemented, leading to differences in governance in an effort to take advantage of e-learning in their respective educational institutions, such as universities. E-learning actually have a basic philosophy that learning can be done by using information technology. So is the case with conventional learning students and the efforts made by the lecturer to the optimal delivery of teaching materials for learners. It is presumed, can motivate students to independently use a number of learning resource. This paper gives an overview of the rules in using the e-Learning, for a process of increasing the knowledge and skills for learners, and not just only limited to what is conveyed by the lecturer in the direct transfer of knowledge or learning. Index Terms—E-learning, governance, rules, improvement of knowledge. M. Rozahi Istambul was with the University of Widyatama Bandung, Indonesia. He is now with the Faculty of Engineering, the Department of Information System, Indonesia (e-mail: rozahi.istambul@widyatama.ac.id). 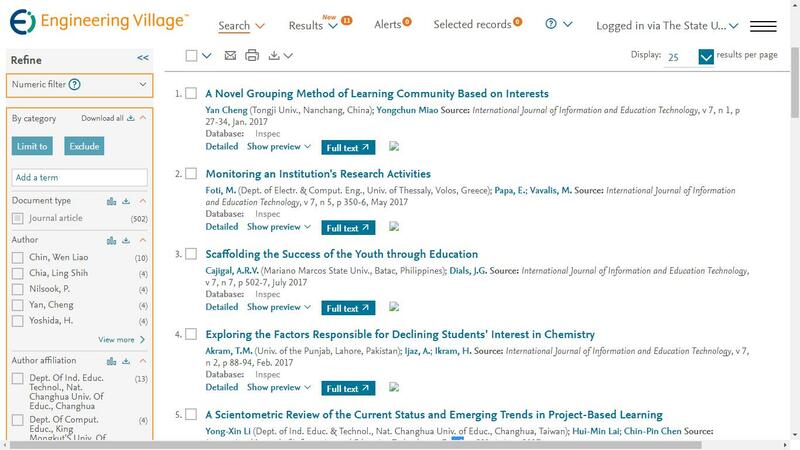 Cite: M. Rozahi Istambul, "E-Learning Design Activity to Improve Student’s Knowledge and Skills: A Case Study of Database Design Courses," International Journal of Information and Education Technology vol. 6, no. 6, pp. 423-429, 2016.